I will freely admit, I love candy. To me, nothing is better that a nice piece of candy to brighten my day, especially when its gloomy and cold outside. Recently, I discovered a new candy that is not only healthier, but so good that my husband and I are fighting over it – Lovely Candy. As I was looking for where to purchase some of this yummy candy, I was approached by this awesome candy, wanting to know if I would like to a review a selection of their candy. Delighted, I said yes, excited to see if this candy was just as good as what I tried in one of my favorite subscription boxes! Looking for candy that is not only delicious, but free of artificial ingredients, food coloring, has no high fructose corn syrup, and gluten free? If so, we think you will love Lovely Candy. Their yummy candy is designed to be help any sweet craving without the guilt. It is even made with non-GMO ingredients and is certified kosher, make it the perfect candy for just about everyone! I have to be honest with you guys, this candy may very well be the most addictive candy I have ever tried in my life. I was lucky enough to try this candy last month in one of my favorite subscription boxes – Love with Food – so my husband and I knew about it already. If it says how much we loved this candy, my husband immediately STOLE the box from me when it arrived. Once I was able to acquire the box again (with the promise he got it back after pictures), we saw we got 3 types of their candy – Superfruit Chews, Chewy Original Caramel, and Chocolate Swirl Caramels. While the Superfruit Chews were the star of all the candies for our household, they were all amazing. They were so good that we ended up buying more candy before I even finished with my review! Based on my family’s opinion of this candy, we are very happy to give Lovely Candy an A+ rating and HIGHLY recommend it! Would you love to try this awesome candy for yourself? You can purchase Lovely candy at your local Target store in the Choose Well section for $3.99 a bag. 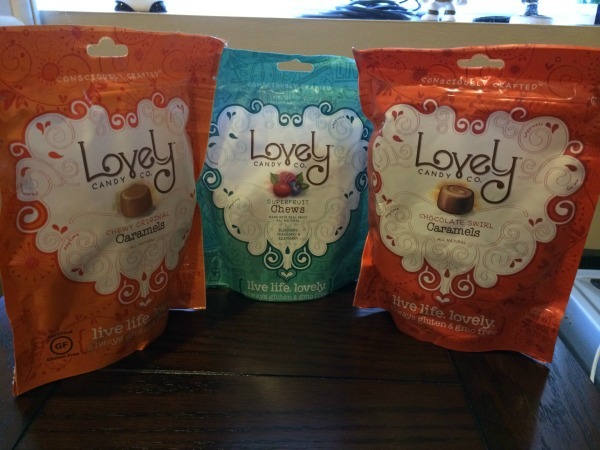 Once you have tried this candy, you will see why everyone is getting addicted to Lovely candy! Would you love to try some of this delicious candy for yourself? 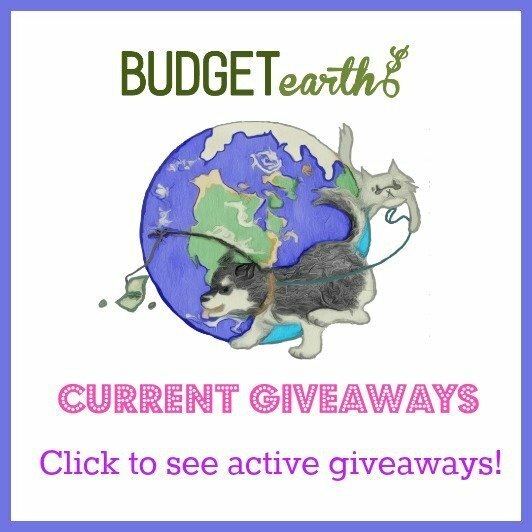 We are excited to be working with Lovely Candy on this awesome giveaway. One of our lucky readers will win a bag of their Superfruit Chews, Chewy Original Caramel, and Chocolate Swirl Caramels candies. To learn more, make sure to read the rules below and then enter through the Rafflecopter! One lucky reader will win a bag of Superfruit Chews, Chewy Original Caramel, and Chocolate Swirl Caramels. Sweepstakes ends March 14 at 11:59pm ET. I love Caramels and their look delicious. Have never tried this brand before. Sounds yummy! I hope I win for me and my boyfriend. I want to try this because I love candy and it has no artificial ingredients or high frutose corn syrup! I’ll been feeling like I’m eating kind of healthy, haha! It’s candy and candy is wonderful. This looks really good, and according to your post it is! I would love to win this and try it. My daughter is eating gluten-free and I would love to share it with her! Thanks for posting I’ll look for this at the store! I would like to try lovely candy because it sounds delicious! I love caramels and this would be a great way to try a new brand. My son would eat the fruit chews. I tried the superfruit chews in a LOVE WITH FOOD box recently and they were delicious. I want to win so I can try the rest. You don’t feel guilty eatign candy when it has no artificial flavors and no high fructose corn syrup. I love to try new candy. These sound like unique, delightful candies…I would especially like to try the Chocolate Swirl Caramels candies! I love chocolate & caramel is my favorite! I haven’t ever tried Lovely candies, but I love caramels so I’m always open to different brands. I want to try this candy because I love sweets! Thanks for the giveaway! I love all-natural foods and it’s hard to find natural candies! I love candy so would love to try this. I would like to try it because it is a healthier candy choice! It’s gluten free, and I love candy. It’s also a product I’ve heard a lot of great things about, so I would like to try them! Who doesn’t like candy!! I would love to try out this new candy and give my review. I love that they use non-GMO ingredients. It seems it’s in everything these days. I want try this candy because of your awesome review, if it is that GOOD, I wnat some! It looks like really good candy, I MUST HAVE!!!! I want to try Lovely Candy for two reasons. One it is a Healthier Candy and the flavors are awesome. Two Your review has me all inspired for a Delicious Treat! God Bless and have a great Day! I would like to try the chewy original carmels yummy! The Chocolate Swirl Caramels would definitely be my first choice! Because I have a friend and she said I needed to try them that they were wonderful. I love to try new products and I have seen these candies advertised somewhere before plus hubby has a big sweet tooth so it would be good for him too!! Thank you for the giveaway!! Because the flavors sound yummy! I’d like to try the candy because it has no artificial ingredients. I want to try Lovely candy because we are always looking for healthier foods and snack for the house. This would be a good snack for the kids and my husband. I have such a sweet tooth. The candy sound delicious!I LOVE caramel and the fruit chews sound delicious too! Thanks for introducing me to this product and I hope I win!!! These sound delightful. Good luck everyone. I want to try them because chewy candies are my favorite! I’m always in the mood for a nice sweet treat! No artificial ingredients… and it’s candy. Sounds like a win to me! I want to try the Lovely candy because it has no artificial ingredients and the flavors sound amazing!! I would love to win as I love caramels and chocolate and any kind of candy in general. The candy sounds delicious and I enjoy trying new products. It looks & sounds delicious!! I would like to try this candy because it doesn’t have high fructose corn syrup. Love to have a nice sweet treat that is gluten free! I’ve already tried these candies and LOVE them! Not only are they super tasty but I can pronounce all the ingredients!! I want to try them because I am addicted to caramel and these sound really good. I love caramel. These would be perfect for my sweet tooth. I want to try them because they sound delicious! I like quality candy from small outfits! I want to win because I love candy! They sound really good. I want to try Lovely Candy because it sounds delicious! It’s so hard to find healthy treats … would love to try this! Thanks for the opportunity to win! As a Food historian, I must admit I’ve tried many types of candy, but I have never tried this one. I would be thrilled to taste some. Love Caramel and Love Candy!!! Do I need any other reasons to try a candy!!! I’m always interested in trying new types and brands of candy. I have a major sweet tooth!!! I’m always trying to fing sweets that aren’t full of artificial junk. Usually it means baking but, I don’t always have time for that. I LOVE CANDY!!! these look tasty and different! These look amazing, and I love sweets – I would love to try them. They sound delicious and I haven’t tried them before. I have the biggest sweet tooth and I’m always looking for fun, new sweets to try! I am always looking for better alternatives to my sweet cravings..
Like that they are natural and don’t have all the artificial crap. Because I am a sugar eater and I love candy in all forms. I would like to try the chocolate caramel swirl candy. They all look good. I would like to try the caramels. We don’t eat a lot of candy around here, but once in a while, I like a good caramel or chocolate treat. I am a candy-crazed girl! *LOL* And, after reading your review, who wouldn’t want to try these! Yummy! They look so good! I would like to relax and read a book while eating some of these!